Some good art, some not-so-good art. Well, we're writers - don't ask too much from some of us. Cail Sketch CyberCat A sketch of Silver Tiger's Cail. Cail Silver Tiger A small head-and-shoulders pic of Cail Weatherson. 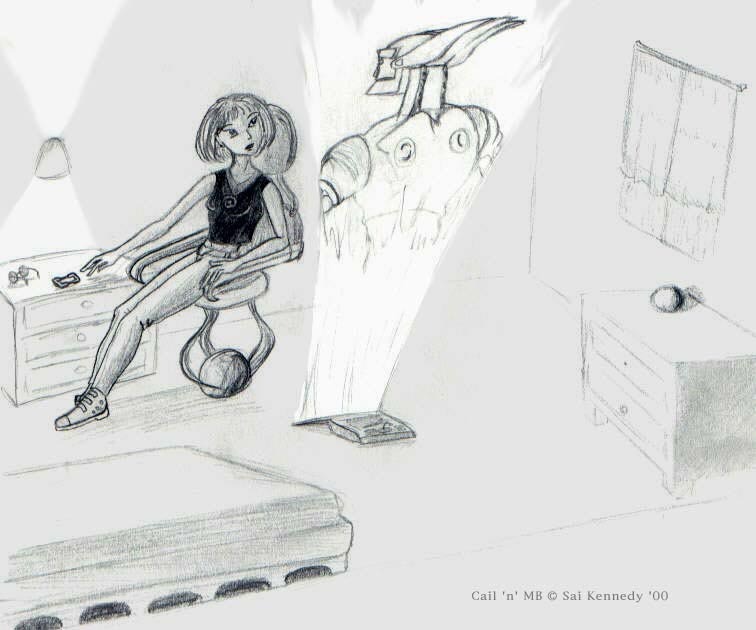 The Past WeB ViRuS A pencil sketch of Cail's first realization of who's hiding in her laptop. Peter Silver Tiger A pencil sketch of Peter from Sylv's "Cail" fic. 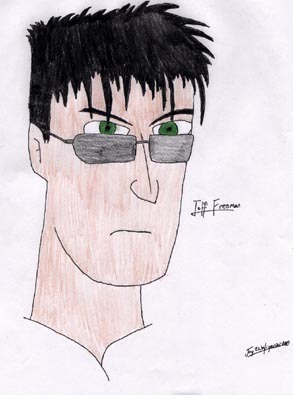 Jeff Freeman Jay Winger The tough Hybrid gives a look. "What're you looking at?" 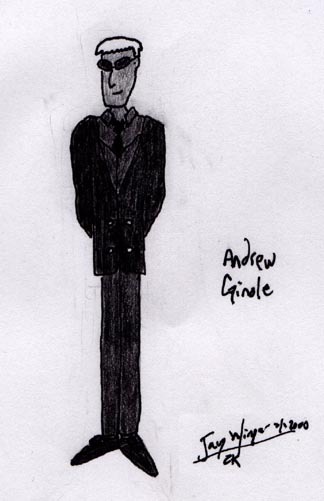 Andrew Ginole Jay Winger Lean Il Lupe in his dignified sprite persona. 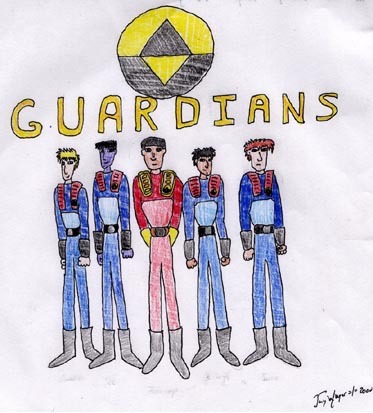 Guardians Jay Winger Thomas Burke, See Piler, Prime Jennings, Erinys Naigerek, and Jason Sterling: part of your Metaverse Guardians. 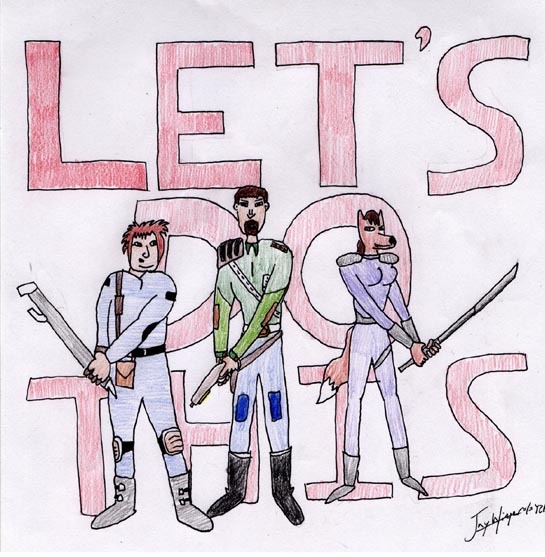 Let's Do This Jay Winger The battle-hardened crew of the SS Grizzly stands ready for battle! 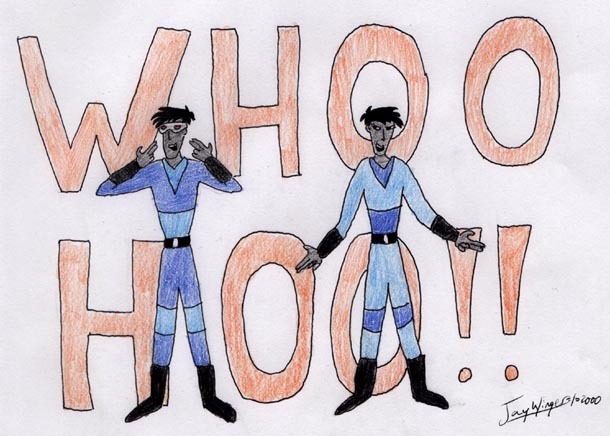 Whoo-Hoo!! Jay Winger The Twins of the Aught Family: Nil & Void, the fun-loving, high-flying, risk-taking pranksters. Hacker meets Virus Jay Winger David "DaVinci" Gabbiani and Lean Il Lupe in a standoff. Quinn Jay Winger Quinn Rentack, as himself, holding one of his datapads and his energy shotgun. 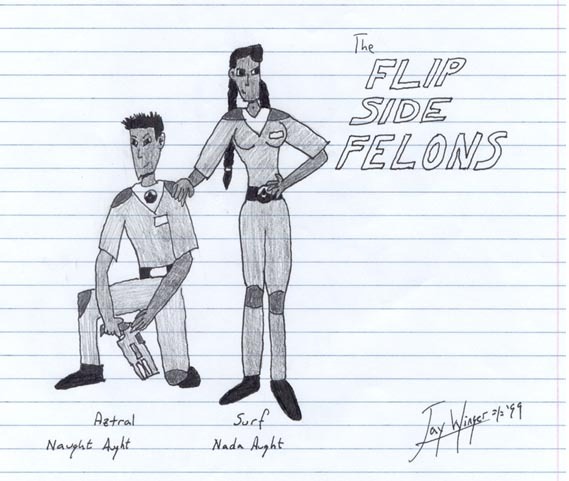 The Flip Side Felons Jay Winger Naught and Nada Aught in hacker garb. 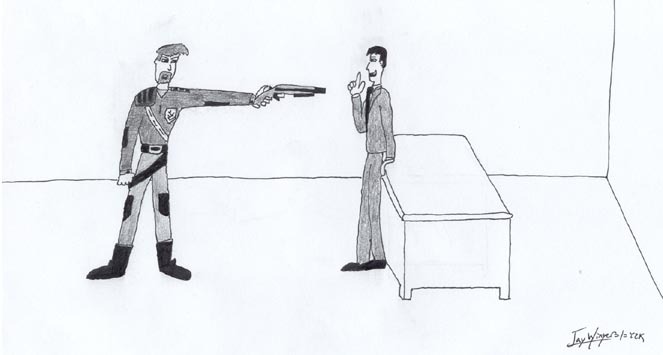 Order vs. 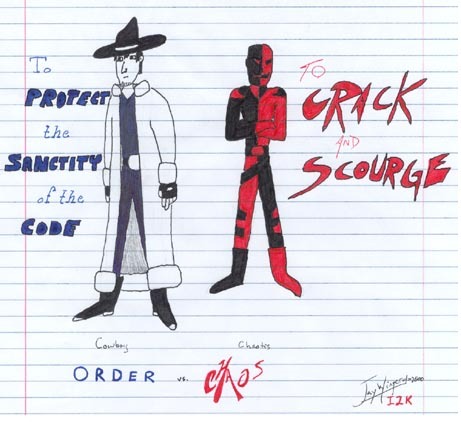 Chaos Jay Winger Calvin "Cowboy" West and Chaotis the Hacker Anarch: two opposite ends of the hacking spectrum. To Protect the Sanctity of the Code Jay Winger David "DaVinci" Gabbiani and Calvin "Cowboy" West: the good side of the hacking spectrum. 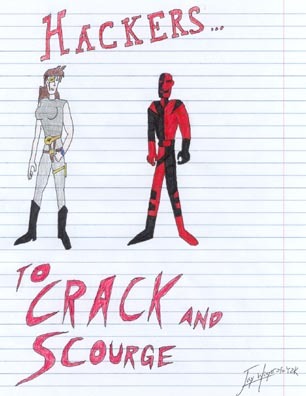 To Crack and Scourge Jay Winger Sarah "Sagittaria" Archer and Chaotis the Hacker Anarch: the evil side of the hacking spectrum. 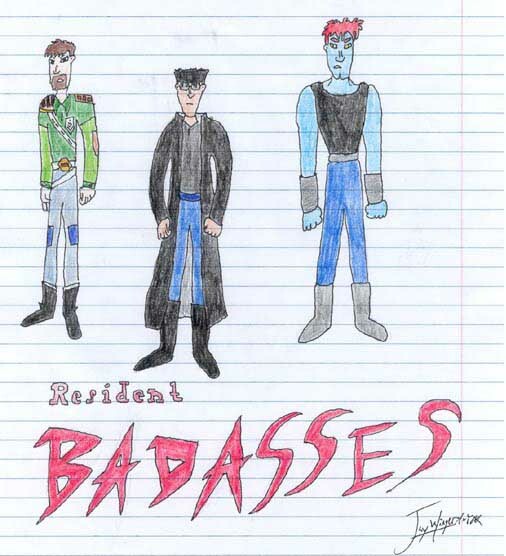 Resident Badasses Jay Winger Three of the badasses of the Metaverse: Nathan Justice, Jeff Freeman, and Tomasi Exley. Justice vs. the Senator Jay Winger In a scene from "A New Type of Justice," Nathan Justice pulls his gun on an unimpressed Sen. Albert Brosky. 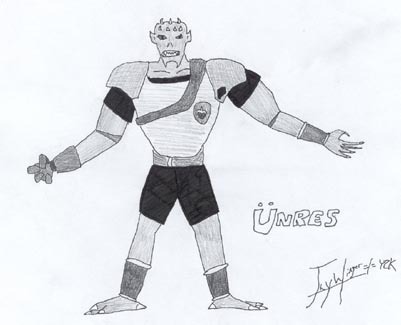 Ünres Jay Winger The diabolical Class Twelve Virus who conquered half of System Vector. 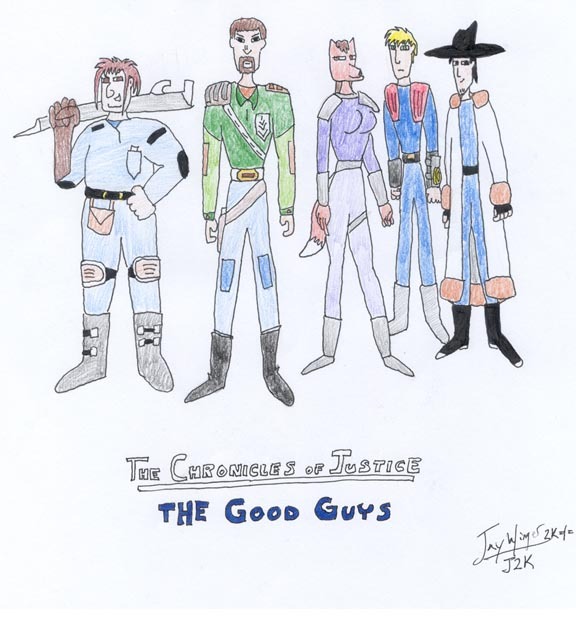 Chronicles: The Good Guys Jay Winger The heroes of the Chronicles of Justice: Dirk, Justice, Sil, Burke, and Cowboy. 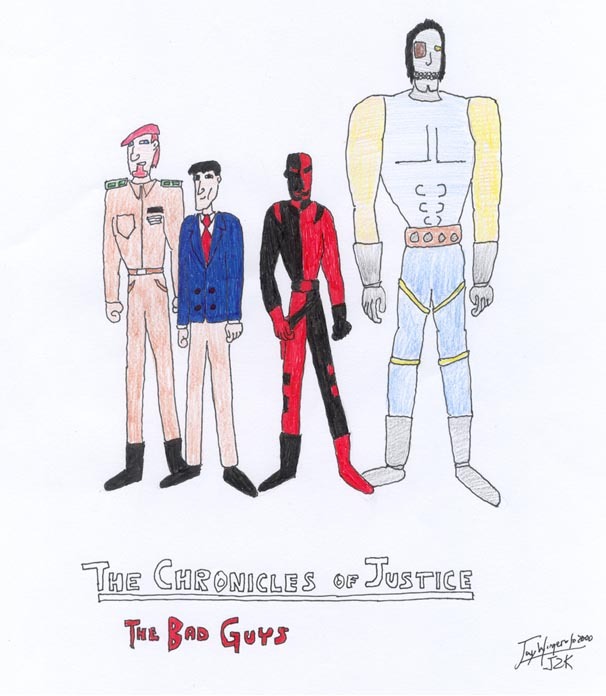 Chronicles: The Bad Guys Jay Winger The villains of the Chronicles of Justice: Col. Jamie MacKenzie, Sen. Brosky, Chaotis, and Chrome. 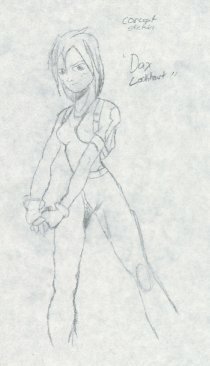 Lara Entrix Al's Waiter A game sprite femme from "System of Secrets." Genesis Al's Waiter The very first game sprite of Uphoria. The Twins Al's Waiter Myst and Riven from "System of Secrets." Quake Conquer Al's Waiter Basically the muscle power of the game sprite group in Uphoria. 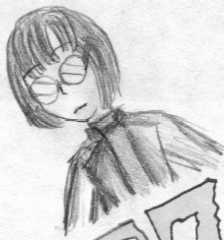 Duke Racer Al's Waiter An expert in racing games, also from "System of Secrets." The following is a set of pictures donated by Tracey Butler and others of Yerf.Com. 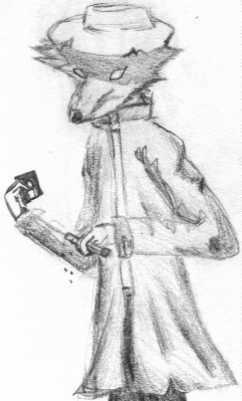 A potential Khatran and Rachaillian/Rodent Anthro. Minotaur I heard that someone was making a race of minotaur? 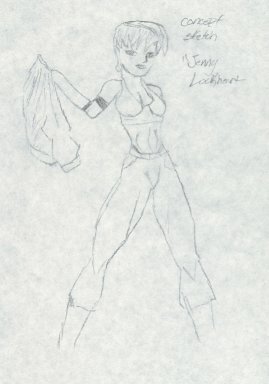 Well, if they ever get around to it, this would be a pretty good piece of concept art. All pictures in this archive are the property of, as well as © by their respective owners.